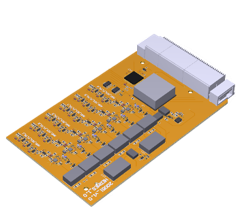 Need a custom crystal oscillator with an enclosure and multiple SMA outputs? Do you like our low phase noise Apollo series but need it integrated with our Hera multiplexer? Wish there as an integrated oscillator and phase-lock loop (PLL)? Looking for a Unicorn? Don't worry, Bliley's got you covered! Our RF and assured PNT (Positioning, Navigation, and Timing) solutions provide custom products to fit your specific needs (minus the Unicorn). Have a component that is now end of life? Or about time to modernize an ancient design? Bliley Technologies excels at designing and re-designing components to refresh your old designs. We're Ready To Take Your Application Further! Interested in Bliley's RF solution capabilities or unsure of the best option for your needs? We're ready to help! Request a quote or contact us today.